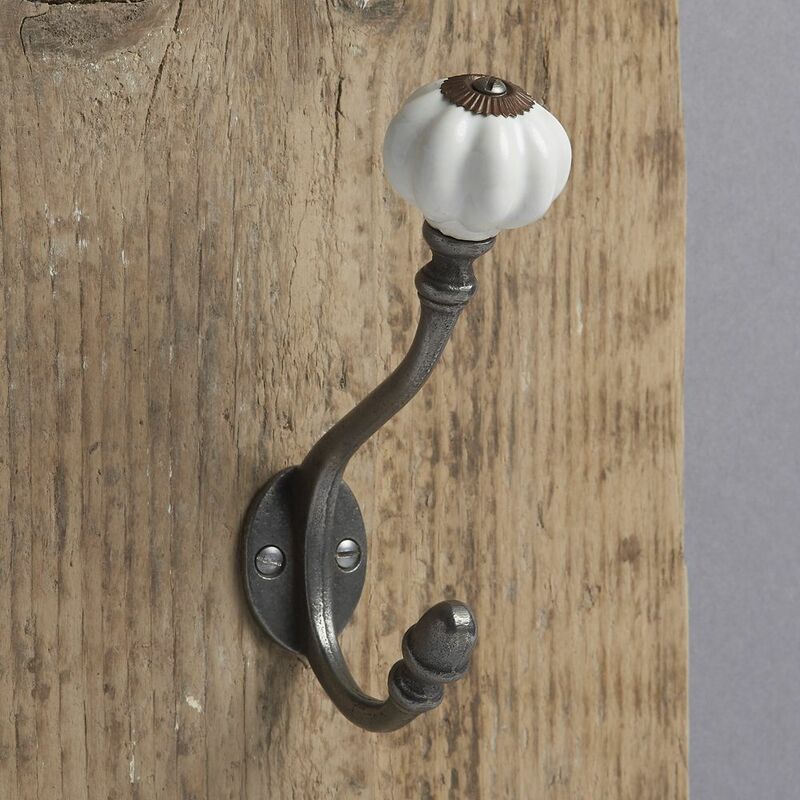 These classically designed individual antique iron and ceramic coat hooks look great on the wall or the back of a door. Great on their own or in a bunch of 3 or 5, they're a stylish hook solution for any room of the house. They come with the two screws as shown. Approx: 15cm high x 10cm deep.